Composed by soldiers who fought in the Holy Wars, these two famous French chronicles are among the most important portrayals of both the dark and light side of the two hundred year struggle for possession of Jerusalem. 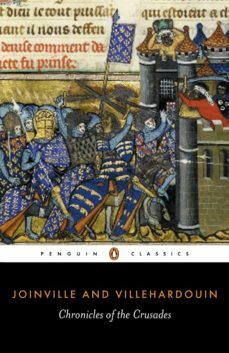 The first trustworthy and fully informed history of the Crusades, Villehardouins Conquest of Constantinople describes the era of the Fourth Crusade - the period between 1199 and 1207, during which a planned battle with Moslem forces ironically culminated in war against Eastern Christians that led to the sacking of Constantinople. The Life of Saint Louis, by Joinville, was inspired by the authors close attachment to the pious King Louis, and focuses on the years between 1226 and 1270. It provides a powerful, personal insight into the brutal battles and the fascinating travels of one nobleman, fighting in the Sixth and Seventh Crusades.